Every so often you’ll hear on the news an amazing story of a lost dog who returns home against all odds. If you’ve ever wondered what it’s like for the dog, look no further than A Dog’s Way Home. This movie will definitely resonate with animal lovers: helping homeless animals is a big theme. A Dog’s Way Home begins with our protagonist, Bella, residing in an abandoned property with her brothers and sisters and a friendly colony of cats. Then trouble starts when animal control comes and rounds up most of the animals, including Bella’s mother. Bella is left alone and afraid. A good Samaritan named Lucas regularly comes to feed and check in on the cats left behind. When Bella sees Lucas, it’s love at first site. Her urge to join him is irresistible, and she leaves behind her newly adopted cat family. Lucas takes home Bella, and that would seem to be the happy ending we’d want…except that the local police classify Bella as a pitbull, which is illegal in the city of Denver. Bella is confused as the parents of Lucas’s girlfriend take her to Farmington, New Mexico, while Lucas and his mother (Ashley Judd) make arrangements to move outside of the city limits. She only wants to go home, and the same urge she felt when she first met Lucas takes over. It’s a yearning that leads her to run away from the Farmington home in search of Lucas, one that will take her through over 400 miles of wilderness. That unwavering sense of loyalty is what makes dogs man’s best friend. It also happens to be a tried and true movie theme, one that filmmakers can’t help revisiting time and again. In fact, Disney’s 1993 Homeward Bound: The Incredible Journey has a very similar story line in which three pets (two dogs and a cat) brave the wilderness together to be reunited with their owners. Which is to say that A Dog’s Way Home won’t win any awards for originality. But I don’t think that’s going to matter to dog lovers. The virtues of dogs are cleverly woven into the storyline, and A Dog’s Way Home doesn’t feel clichéd: from how Bella helps veterans as a therapy dog, to how dogs help with search and rescue, to how they simply bring happiness to their owners and make their homes feel complete. A Dog’s Way Home is sentimental, but it doesn’t feel overly so. Numerous touching moments make it clear that one dog can make a difference in the lives of many. I particularly enjoyed Ashley Judd as Lucas’s mom. She’s a veteran struggling with mental illness, and she’s shown taking positive steps by receiving therapy at the VA, and later in her interactions with Bella as a calming influence in her group. Then there is Edward James Olmos as a sickly homeless man desperate for friendship, and Bella becomes his only solace. There are even touching interactions between animals, as Bella befriends other dogs and even a wild cub. For children, Bryce Dallas Howard’s narration as Bella provides the insight they need into the action. The filmmakers could have gotten by without the voice over, as Tomris Laffly pointed out on RogerEbert.com. However, for younger viewers, having a window into Bella’s thoughts is just the device they need to appreciate her journey and to want to come along for the ride. A Dog’s Way Home is a good movie to introduce kids age nine and up to a live action movie with meaningful themes. It’s emotional…they will cry, and so will you, but the varied storyline will give you lots to talk about afterwards. Just don’t forget your tissue. Thank you very much, Jane! 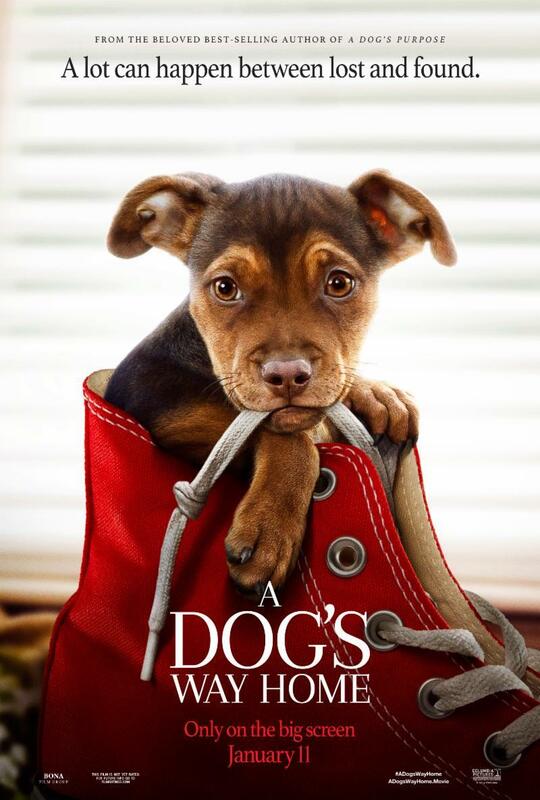 I think this movie is a great conversation starter with kids about some very important issues, including the importance of pets in our lives, and other major themes such as homelessness and loss. 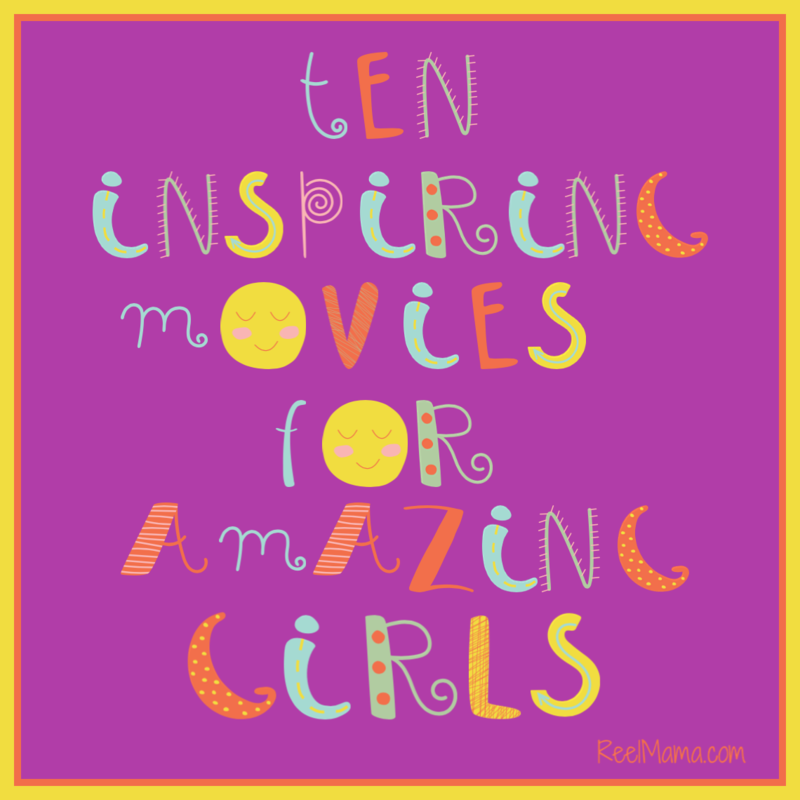 Let me know how the girls like the movie!